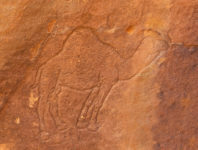 The Dromedary camel can be easily identified because of the single hump on its back. 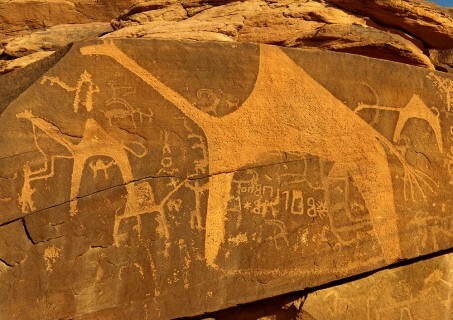 It is also the largest of all camels, having longer limbs than the Bactrian, or two-humped, camel, C. bactrianus . 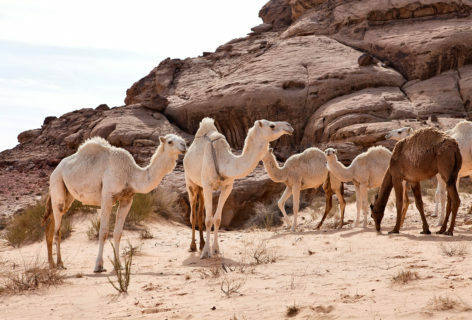 The Dromedary is extremely well adapted to hot, arid conditions, and is capable of surviving up to 21 days without water. Dromedaries vary in color from nearly white, to tan, to dark brown or nearly black. The Dromedary usually travels in groups of 20, consisting of a dominant male, and multiple females and young. During mating season, the males become very hostile towards each other. The pregnant females will form a herd of their own, and a single calf is born after a gestation period of around 15 months. The calf is born without a significant hump, and is usually moving around freely by the end of the day. It is unclear exactly where Dromedaries were first domesticated, but they have been used for their meat, to ride, and as beasts of burden for perhaps 3 millennia. Their dung is used for fertilizer and as fuel. Their hair is much shorter than that of the Bactrian, because of their adaptation to hotter climate, so their pelts are less useful and are not exploited commercially. 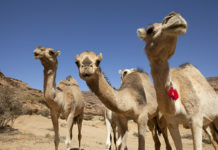 Camel milk is also an important product, consumed by livestock as well as the people who raise them. The average Dromedary can produce between 6-9 liters of milk per day, but some populations bred specifically as dairy animals can yield 30 liters per day. The milk is whole food, meaning that it supplies all the necessary nutrients to sustain a human. It is high in vitamins, iron, and proteins, and has antimicrobial and immunological properties. The Babylonians and Assyrians referred to the Dromedary as gammalu; in the Bible, it was called gâmâl ; and the Greeks referred to it as dromas , meaning “swift runner,” or used the lone word kamêlos . Camels have played significant roles in transporting people, armies, and goods, since they were first domesticated. They were important as draft animals in the spice trade and along the Silk Road. Camel corps were employed for warfare by the Persians, Greeks, Seleucids, Parthians, Sasanians, Romans, Nabataens and other Arabian cultures, and by more recent Europeans fighting in deserts. The first recorded use of camels for military purposes was by Arab King Gingibu, in the Battle of Qarqar, in northern Syria, in 853 BCE. It was recported that the Arab king contributed 1,000 camels to the alliance of 12 kings that fought against Assyrian King Shalmaneser III’s army. Camels appear rather late in the Saudi rock art, clearly after the Neolithic Wet Phase. 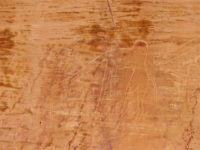 Mostly, they are shown as a group, often with their young. 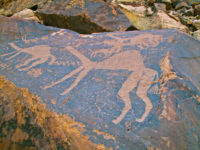 Sometimes the hind limb or rump is branded or otherwise marked with tribal symbols (wusum) for purposes of identification. 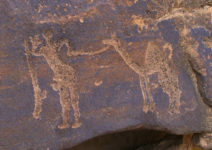 In the Bir Hima region, late depictions of battle scenes show cavalrymen and infantrymen fighting against camel corps. 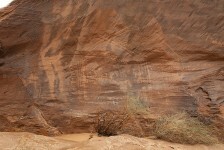 Rarely, saddles and stirrups are shown on the camel, such as at A’abar Harema, in the Bir Hima region. Dromedaries are found in Africa, Arabia, the Near East, and to a lesser extent in parts of Asia. Today there are more than 14 million domesticate Dromedaries.